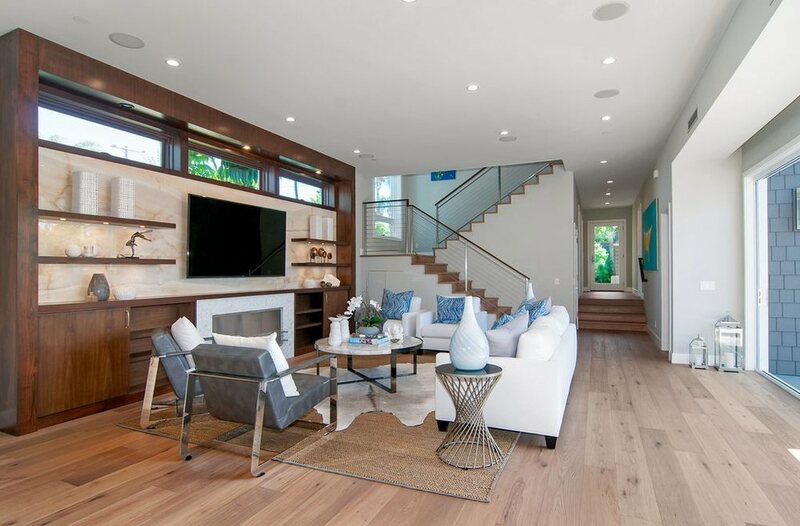 This is a project that we completed using wood floor refinishing in San Diego. Our client was looking to try to match her floors with the existing style of the home. They were not happy with the distressed rustic look of the hand scrapped oak so we suggested sanding it out and bringing it more in line with the architecture and style of the home using the wood floor refinishing method.